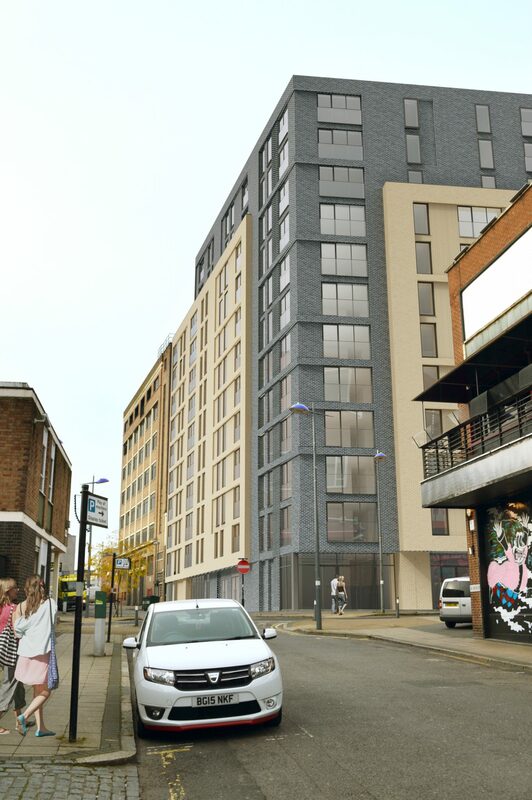 The Gooch Estate has agreed to grant a long lease to Prosperity Kent Street Limited, this being conditional on planning permission for a 12-storey development being secured. Details of the proposed redevelopment at 16 Kent Street, on its corner with Lower Essex Street, being the former offices of the British Association of Social Workers and the Davenports Dares Bar in Birmingham’s Southside area, are revealed in the planning application submitted to Birmingham City Council. The proposed scheme comprises 116 residential units, 2 ground floor commercial units, one of which is designated for a craft beer bar.